Julie was a ballet and tap teacher for 20 years, and as of November 2017, she sold her dance school to concentrate solely on Dance for PD®. In 2015 Julie traveled to New York, USA to attend the first course in Dance for PD® with the Founding Director, David Leventhal. Julie began teaching classes almost immediately. In January 2017, fellow ballet teacher, Carmen Davidson joined Julie and together they have pioneered the program’s reach throughout South Africa. Julie returned to New York in October 2017 to complete further training. Julie is now one of only 6 certified trainers world wide. Dance for Parkinson’s SA® has trained teachers in Gauteng, Eastern Cape, KZN and Western Cape, as well as training a teacher from Harare, Zimbabwe. My passion is Dance for PD® and to see how people with PD respond, is nothing but incredible and soulfully rewarding! Parkinson’s has many motor and non motor symptoms and in these classes we address these symptoms in fun, challenging, creative ways with the aid of music as our greatest tool! We run training courses for dance teachers, as well as Educational and Enrichment Workshops. We offer workshops for Occupational therapists and Physiotherapists who are interested in our methods, cueing strategies and the creative tools which we use in our classes. We cater for children from the age of 3 to 20, with CP, Global Development Delay, Sensory Integration Disorders, Autism Spectrum and those without a diagnosis. Includes psychometrists, educators, neuropsychology student, etc. 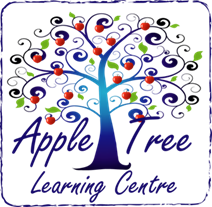 The Apple Tree Learning Centre (ATLC) is an inclusive, independent, Christian based school situated in the heart of Somerset West. Our School caters for learners who have difficulty coping in a mainstream school. Classes are from grade RR to grade 7 and we follow the CAPS curriculum as underlined by the Western Cape education Department (WCED). For our younger learners, early childhood development is our focal point to ensure that each child’s developmental needs are incorporated into their academic program. The Apple Tree Team consist of remedial therapists, an on-site occupational therapist, trained teacher assistants and qualified educators. We also work closely with an educational psychologist and speech and language therapist. We have a strong belief in collaborative interaction and learning, value every ones input and we therefore ensure that our team constantly grows professionally. The Apple Tree team is passionate about arts and culture and to this end we aim to incorporate a holistic approach in our teaching, hence ensuring that each child’s needs, individuality, culture, strengths and passions are nurtured. We have a deep conviction of the unique individual value that each child carries, and to this end, we earnestly seek to be part in encouraging each child to overcome their specific barrier(s) to learning. Even to be able to put them back in mainstream schools later on. Our small class sizes lead to more one on one attention from the educator and we are driven to make learning fun for all. It is our priority that our team willingly takes on new challenges every day to impart instructions and to create an excellent learning environment for all our learners, because ultimately they will become our future leaders. The Key School in Parktown is a centre for young adults with special needs. They are looking at getting connected with families that may be interested. Please see the advert and distribute it to others who may be interested. Faery Glen Therapy Centre is based in Northriding and is a special needs school for those with autism, cognitive delays and special needs. For more information, visit the website https://www.westerncape.gov.za/dept/education/facilities/788. The Living House is an addiction recovery centre with specialists in post rehabilitation and addiction treatment. The Living House provides a safe environment in which recovering addicts can continue practicing their tools of recovery so that they have the strength to resist triggers that may still be present in their real lives. This kind of transitional living gives people the opportunity to get back in the real world and return to their jobs (or find new ones), while still receiving the security of support meetings and the safety of a community of people who are serious about their recovery. This post-rehab stage is important to successful addiction recovery. SNAP Academy teaches the National Curriculum for children on the Autistic Spectrum and children with other special needs.